To delete a resume, open the resume's Settings tab. This will open a tab with modification options for your resume. 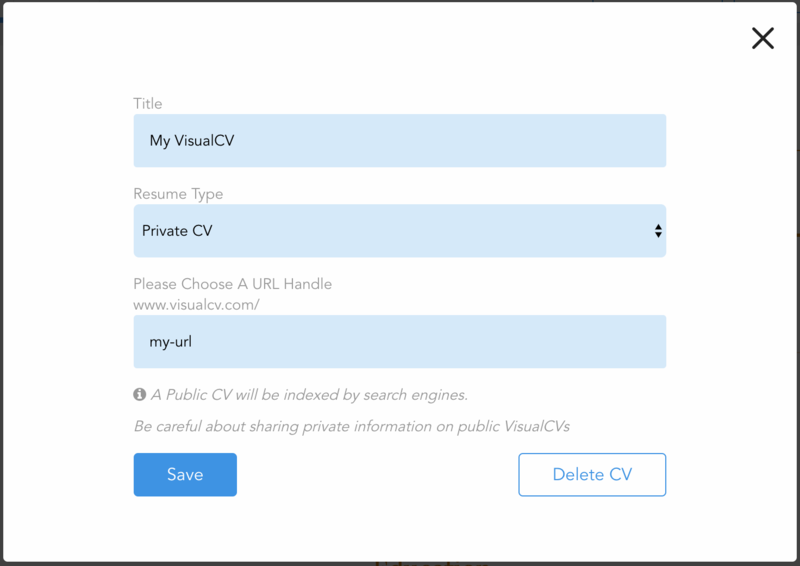 At the bottom, there is a button that says Delete CV. Click this button and your resume will be deleted. Be sure that you are finished with your resume before you remove it - deleted resumes cannot be recovered!